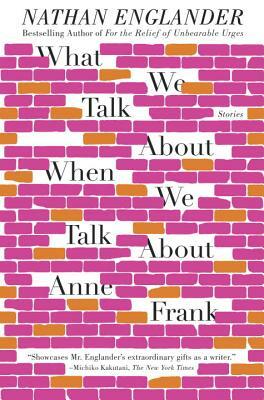 The title story, inspired by Raymond Carver's masterpiece, is a provocative portrait of two marriages in which the Holocaust is played out as a devastating parlor game. In the outlandishly dark "Camp Sundown" vigilante justice is undertaken by a group of geriatric campers in a bucolic summer enclave. "Free Fruit for Young Widows" is a small, sharp study in evil, lovingly told by a father to a son. "Sister Hills" chronicles the history of Israel's settlements from the eve of the Yom Kippur War through the present, a political fable constructed around the tale of two mothers who strike a terrible bargain to save a child. Marking a return to two of Englander's classic themes, "Peep Show" and "How We Avenged the Blums" wrestle with sexual longing and ingenuity in the face of adversity and peril. And "Everything I Know About My Family on My Mother's Side" is suffused with an intimacy and tenderness that break new ground for a writer who seems constantly to be expanding the parameters of what he can achieve in the short form. Beautiful and courageous, funny and achingly sad, Englander's work is a revelation.